Media: pencil, white paper, color invert with Gimp. Simply amazing. How clear you could see it, impressive. 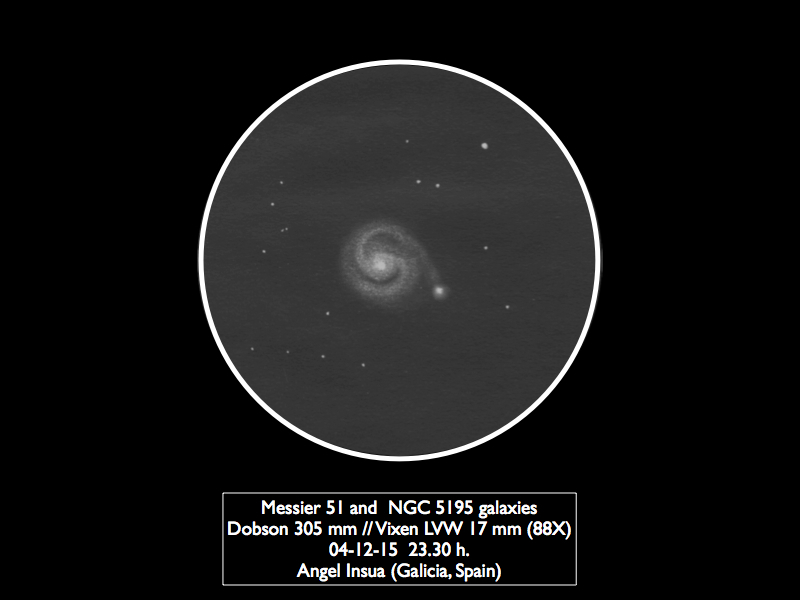 This is a spectacular looking sketch of the beautiful M-51 and companion riding high in the Spring sky.